Remember the times when you actually had to go outside to visit a casino? Remember the times when online gambling was a pretty sad experience? Remember the times when online casinos could get away with scamming their players? Wait what!? Yes, that’s right, the online casino industry has come a long way. And with the adoption of blockchain, and smart contracts in particular, the way is getting paved for a new era of trustless gambling. By now most of you have heard of Bitcoin, and probably also of Ethereum – but what do these technologies to the table? How is the introduction of smart contract gambling relevant to you? All this will be answered. Even though regulatory bodies such as the UK Gambling Commission and the MGA in Malta made great efforts to regulate the online gambling industry in an effort to protect players, they never fully managed to eliminate cheating and other unscrupulous behavior from betting operators. To this day, many operators use archaic payment systems causing slow processing, casinos block players after winning, they hold winnings for extended times, etc. All these practices belong to the past with blockchain and smart contract technology. The easiest way to understand how blockchain works is to think of a big book that contains all transaction that happened up to the present (a ledger). Everyone who is in the blockchain’s peer-to-peer network has a copy of this book and can validate all transactions – making it fully transparent. Add to this that all transactions are quasi-anonymous and are encrypted to very high cryptographic standards, and one can see how blockchain can revolutionize the way we make financial (or other) transaction. Ethereum came with smart contracts that added another layer of functionality on top of blockchain technology – the ability to code and add rules and conditions to the transactions. This allows for entire decentralized applications (DApps) to be built. So the Ethereum blockchain not only contains one-dimensional transactions, it also contains all rules and conditions that come with these transactions. 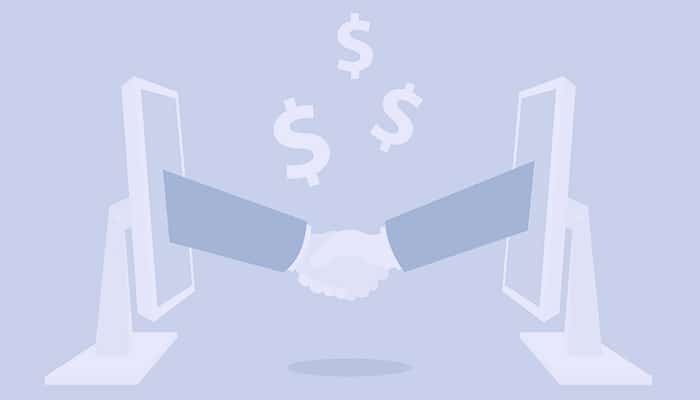 Therefore, smart contracts eliminate the need for intermediaries to oversee transactions. For instance, an insurance company is no longer needed to handle the rules and conditions when it comes to claims. All the rules and conditions that come with the insurance policy can be coded into the smart contract. When you get a basic understanding of how smart contracts work, it is easy to see how this will inevitably lead to smart contract casino games and truly trustless gambling. Deposits/Withdrawals – since bets and payouts go directly from wallet to wallet, there’s no more middleman to handle payments. So waiting days to receive your funds after making a withdrawal are over. If you want to bet 0.01 ETH on ‘Red’ in roulette, that 0.01 ETH gets transferred from your personal wallet, not your casino balance. After you win, the 0.02 gets immediately transferred to your wallet, again, not to your casino balance. Low Cost – a smart contract casino eliminates many operations that thus far are handled by either people or by complex (costly) software systems. This will lower costs drastically for the operator – which will ultimately benefit players since the house-edge can go down. So where many online casinos have a house-edge between 3% – 5%, Smart Contract Casinos can operate profitably on around 1% house-edge! Trustless – since the code (decentralized application) of the casino is auditable on the blockchain, there is virtually zero room for cheating since tampering with the code would be immediately noticed. Also, because most forms of human interference will be eliminated by the use of smart contracts, human mistakes (purposely or not) are no longer a bottleneck. Anonymity – quite a couple of Ethereum Casinos don’t require you to make an account, suing your name, email etc. Since transactions go directly from wallet to wallet, using public keys, there’s no need for a payment processor to handle transactions. Blockchain, Bitcoin, Ethereum, Decentralized… All of them are buzzwords which are sprinkled onto marketing campaigns right, left, and center. This can make it confusing for the average gambler to choose an online casino that used this revolutionary technology. So what’s what? As mentioned before, a true smart contract casino leverages blockchain and smart contract technology in pretty much all facets of their casino operations – from payment processing, to their Random Number Generators, to their game software. A couple of examples are SmartRoulette, Bitsler, and Edgeless which will launch soon. Then there are online casinos that use this technology in parts of their business, for instance, just the payment processing. The games they run are still ‘normal’ online casino games which most of you will be familiar with. These casino are actually using blockchain to their and your advantage as payments go directly from wallet to wallet. Two good examples are Betcoin and Cryptogames. Lastly, we have a large group of casinos that just use the currency aspect of crypto’s like Bitcoin and Ethereum. Here you are able to transfer you Ethereum into your casino balance, just as you would with Euro’s or Dollars. The only advantage for players is that they can use their coins to fund their casino balance. Technologically, not much is happening here. BitStarz is one that comes to mind for category. They offer a great casino experience and you can use Bitcoin easily – however, it has nothing to do with a Smart Contract Casino. Which Crypto Casino is right for you? It is important to note that choosing between any of the categories is not that straight-forward since some compromises need to be made. If you’re looking for an all-around great casino experience, it might be best to stick with a more traditional online casino that offers Bitcoin or Ethereum as transaction method. But if you’re really looking to take advantage of ALL benefits that Smart Contract Casinos can give, you might have to lower your expectation somewhat with regards to experience. Because it’s a new technology and many true Smart Contract Casinos are in start-up phase or are made by enthusiasts, they might come across as bare-bones versions of online gambling. Many operators just offer simple games like dice or roulette. But if you’re a bit patient, a lot of efforts and progress is being made by various casino operators to actually start competing with traditional online casinos – also in delivering a rich gaming experience.